It's difficult when we lose someone who's a rock star… But that's one of the things you have to be prepared for. If you wait until a valued employee's exit interview to find out why they've decided to move on, you've missed out not only on keeping a productive member of your team, but on a golden opportunity to identify obstacles and challenges within your organisation — and fix them before you lose others. Employee retention is a critical issue facing today's enterprises. The cost of employee turnover are increasingly high — as much as 1 to 2.5 times an employee's salary. And there are “soft costs” as well: lowered productivity, decreased engagement, training costs and cultural impact. 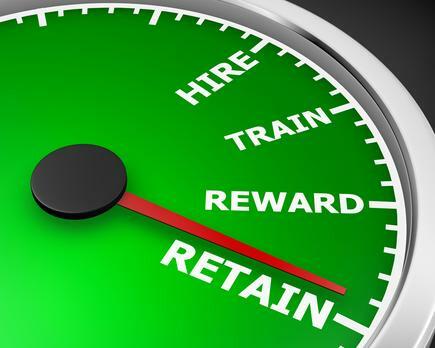 How can you increase employee retention rates? It starts with your recruitment process. "Retention starts right from the beginning, from the application process to screening applicants to choosing who to interview," says Dan Pickett, CEO of Nfrastructure, an infrastructure, managed services and network services firm. "It starts with identifying what aspects of culture and strategy you want to emphasise, and then seeking those out in your candidates." Nfrastructure, which employs about 300 people, boasts a retention rate of greater than 97 percent. It's a statistic Pickett is understandably proud of, and one each member of the company works to maintain, from facilities workers all the way up to Pickett in the C-suite, he says. "It's an increasing returns model; the longer someone's with your company, the more productive they become over time," he says. "You have to look at this as a long game, and take steps to ensure you're doing it right by making sure each employee is completely engaged with and part of the company's ongoing success," he says. How can you choose candidates that are more likely to stay? There are key indicators right on their resume, says Pickett. First, he says, look for candidates with longevity at their previous jobs. "You're looking beyond what's written on the resume. Have they worked at a company for many years through ups and downs? That speaks to loyalty, perseverance, engagement," he says. "You should also look for someone who plays team sports, who has committed to volunteer or other activities outside of work — that can help tell you that they are invested in a cause, a team, a sport, yes, but also that they have the mindset to stick with something they really care about," he says. Job-hoppers are something of a gamble, he says. While they might just be looking for the right place to land, a candidate "who's had, say, 10 jobs in 12 years is going to be really difficult to retain for any company," Pickett says. Promote from within whenever possible. Doing so will not only provide a clear, forward-looking path to greater compensation and responsibility, but it will help employees feel they're valued and a crucial part of the company's success as a whole. Of course, promotions go hand-in-hand with employee development and education, and this should be another tool in your retention arsenal, says Pickett. Whether by corporate training to help foster the acquisition of new skills, new technologies or new processes or through tuition reimbursement from outside courses, furthering your employees' education can help them feel valued, important to and invested in the company, he says. "Learning cannot just be an afterthought — it must be a core focus of any strong organisation," says Kevin Griffin, an IT advisor at Falco Enterprises and former CIO of GE Capital. "A learning-focused organisation doesn’t just hold periodic learning events or workshops separate from the day-to-day work. Instead, learning is integrated in every project or task, and employees are encouraged to dive in and learn by doing, asking questions when they hit roadblocks. In other words, constant learning should be a part of every employee’s job description," says Griffin. Here, extensive skills training, leadership training and professional development are key. A commitment to training is seen by employees as an investment in their worth and a powerful incentive to stay at the company, Griffin says. "Investing in your employees’ education can help retain talent and intellectual property at a time when there's stiff competition for both," says Griffin. "The need for new skill sets and evolving roles are in demand at rapidly growing rate, so putting someone on a career path that doesn’t have any room to develop is not only a career-limiting move for the employee, but a business-limiting move for the company." "By helping employees gain skills they can both apply in their current role, or build on to work towards getting a promotion, you're keeping them engaged, excited and invested in your company — you're making them want to stay," says Nfrastructure's Pickett. Benefits play a large role in keeping employees happy, engaged and healthy, says Nfrastructure's Pickett. But you need to go far beyond healthcare and paid sick leave. Consider offering stock options or other financial awards for employees who exceed performance goals or who stay with you for a predetermined time period. Flexible work schedules, the opportunity to work remotely and generous paid leave policies also go a long way toward helping employees feel they are valued well beyond what they contribute at the workplace, says David Hanrahan, a startup advisor and HR executive at Zendesk and Change.org. If employees are not offered leave, or are forced to return to work because they cannot afford unpaid leave, "is the employee fully engaged at work or are they distracted and resentful?" Hanrahan asks. That distraction and resentment can build, and drive an otherwise satisfied employee to consider other options. If your commute is an hour and a half each way and you have a family at home, you’re not necessarily dissatisfied with the commute; it’s the time you’re not spending with your family. So, organisations could add more flex time. Open communication between employees and management can help foster a sense of community and shared purpose, says Pickett. Regular meetings in which employees can offer ideas and ask questions and “open-door policies” that encourage employees to speak frankly with their managers without fear of repercussion help employees feel they are valued and that their input will be heard, he says. "I also open up my own personal network of former colleagues, friends, networking contacts to any other employee that wants to network and talk to someone at other companies and in other industries," Pickett says. "I set them up to talk with each other, and then I leave them alone. Without me there, I feel I can convey a sense of trust so employees and fellow leadership can learn and grow from others outside my company." Another approach is to use an employee polling tool like David Niu's TINYpulse, which sends a single question to a company's workforce at set intervals and tallies results anonymously. It's then up to company leadership to gather that anonymous feedback and either act on it or explain to the company why that action might not be possible, Niu says. "You have to be open and transparent and be able to say what you can and can't commit to — every organisation is bound by resources and time. But, just the fact that the employees are being heard, that they are being listened to is important and can improve retention, even if there's no way the company can address their challenges at the moment," he says. Organisations have incredible amounts of employee data available, so why not use it to identify who’s likely to leave, why, and then take steps to prevent that, says Dave Weisbeck, CSO at workforce analytics software firm Visier. Conventional wisdom says a long commute time increases people’s dissatisfaction with their job, but using AI and advanced analytics to pinpoint the true underlying factors for attrition may reveal insights that are not as obvious as you thought, he says. “I recently stumbled upon this Glassdoor survey that calls out January as the month when more employees are likely to leave,” says Weisbeck. “But contrary to that survey’s finding, a lot of the data from our own clients shows that’s not necessarily true. We looked across all of our data — about a million employees — and what we’ve found is a very clear pattern on a quarterly basis, and Q3 is the biggest quarter for resignations,” Weisbeck says. Why is that? Visier extrapolated that the timing of resignations isn’t necessarily defined by the calendar, but around internal processes and structures like bonus payments, Weisbeck says. Looking more closely at data can help uncover patterns like this, he says. Whereas organisations used to guess first and then gather data to verify their assumptions, AI and machine learning can flip that process on its head, enabling you to identify and address these issues before they lead to attrition and turnover. “Commute time, for example, isn’t as big a factor in people’s engagement, happiness and their chances of leaving a job as distance to family,” Weisbeck says. “For instance, if your commute is an hour and a half each way and you have a family at home, you’re not necessarily dissatisfied with the commute; it’s the time you’re not spending with your family. So, organisations could add more flex time. Remote work opportunities. Anything that could help address that pain point,” Weisbeck says. A more extreme example he offers is an employee who grew up in North Carolina and whose family still lives there, but who now lives and works in Portland, Ore.
Of course, turnover is inevitable, says Nfrastructure's Pickett. Organisations must prepare to lose star talent, especially if they have the opportunity to move into their “dream job,” he says. "It's difficult when we lose someone who's a rock star," he says, "But that's one of the things you have to be prepared for. Especially in the IT industry, it's so competitive — but it's also healthy. You don't want someone who doesn't want to be there anymore. Another important thing to remember about retention — if you're doing it right, your customers will see it, too, and they'll benefit," Pickett says. “That enthusiasm, that excitement, that investment, comes through in every interaction, and customers will want to do more business with companies like that," he says.